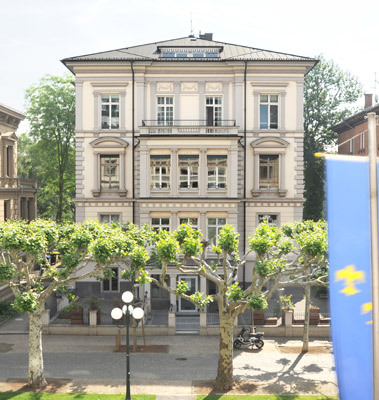 The vein clinic was founded in 1997 by Prof. Dr. Axel Anders in Wilhelmstrasse 17, Wiesbaden, after many years in leading positions in Berlin, Offenbach and abroad. He led the practice for almost twenty years until his retirement in 2015. In 2015, the practice was taken over by Dr. Jochen Peter, who had previously worked as Consultant vascular surgeon at the renowned Clinic for Vascular and Endovascular Surgery at Frankfurt University Hospital. Dr. Peter introduced a modern quality management system, which led to successful QM certification in December 2015. In 2016, the practice was certified as a competence centre for veins as just one of eight institutions in Hessen. The certification program Veins Competence Center of the Professional Association of Phlebologists examines numerous criteria with regard to quality-oriented diagnostics and therapy and objectively proves a high structural and supply quality as well as process reliability (for more information see www.kompetente-venenbehandlung.de). In 2017, Dr. Peter received the Leading Medicine Guide Award and has since been listed on the expert portal of the same name. In 2018, Dr. Peter’s practice was ranked among the best addresses in Germany by the magazine GALA beautify (No. 01 Spring 2018).